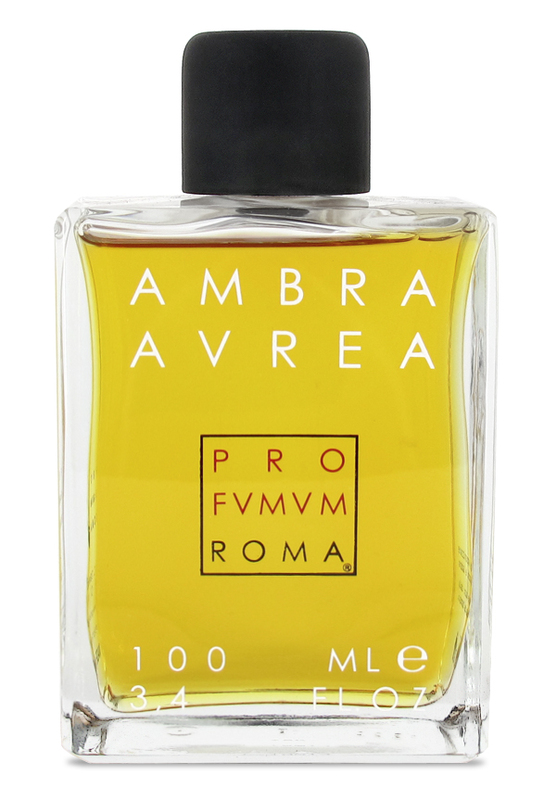 Ambra Aurea is a shared / unisex perfume by Profumum. There are 19 reviews of Ambra Aurea. A dark, deep and smokey amber. Fortunately not of the super sweet and vanillic kind. I can see the ambergris element especially in the opening, its a little salty and sort of gooey, which is nicely contrasted by the dry smoky incense. It becomes softer and gentler after the first few hours, but it is still very tenacious. Pretty linear and simple, but in this case it's solid and smells very good so I don't mind very much. Beautiful job. Delightful! I am biased as this is one of my favorite styles / blends of perfume - the amber oriental. Intense, smoldering amber, myrrh, and incense. One of the best amber-laden offerings out there. Sweetness, woodiness, a little salty underneath. If I didn't own many amber scents already, I'd get some of this. I am definitely not an amber person, but if I were, Ambra Aurea is the one amber I would wear. AA is a sappy and resinous amber with a deep incensey vibe. And from my brief acquaintance with ambergris, I think this Profumum contains the real deal. The scent lasts forever and garners compliments like no other fragrance I have ever worn. My only complaint is that (like most amber-focused fragrances) it wears a bit sweet and makes me feel slightly claustrophobic after several hours. But this is merely a personal problem that I have with all amber-oriented scents; those who love amber should genuinely revel in this rich beauty. Spicy, rich and resinous - the first whiff of this and I am transported back to my childhood, attending Easter Mass, with the smoky bite of frankincense and myrrh wafting from the altar. As it warms on the skin, the amber starts to shine through, rich and sweet and warm. I often find myrrh can be quite sharp, but the balance of this with the amber is perfect – smoky, sharp, rich and sweet. I had to laugh – I gave my husband a sniff of this after I’d put it on, and asked him what he picked up from it. He said bacon and honey. Which I guess means he got the smoky incense and sweetness from the amber &#9786; This is a stunning amber scent, and definitely full-bottle-worthy. Big thanks to purecaramel for the sample. Profumum Roma - 3ml, 10ml, 20ml, 30ml - Select fragrance and size..
Profumum Roma - 6 ml original roll-on - Select fragrance and size..
Profumum Roma - 50 ml in ORIGINAL BOTTLE - Select your fragrance..
Profumum Roma - Ambra Aurea - reformulated? ?